Dan Absalonson | Author of SciFi & Fantasy: My Novel "Haunted House Flipper" is out 3/30! 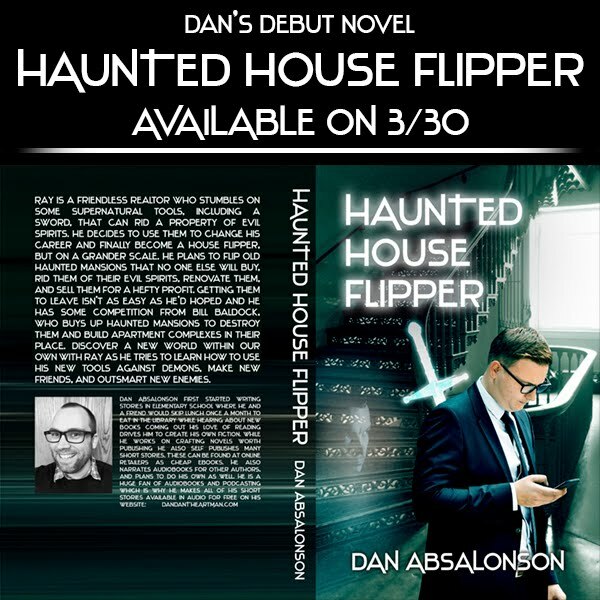 My debut novel "Haunted House Flipper" is out on Friday 3/30! I'm going to leave it at the special pre-order price of $2.99 for the first 2 weeks it's available. Buy it wherever quality eBooks are sold. Coming in Paperback to Amazon and Barnes & Noble soon.